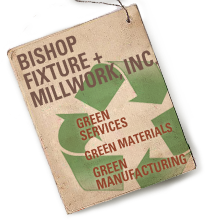 Custom Retail Store Fixtures - Global Retail Fixture Solutions | Bishop Fixture + Millwork, Inc.
At Bishop Fixture, we deliver custom solutions to our clients commercial interior and display needs. We design and build displays and environments in wood, metal, acrylic, solid surface, incorporate the latest technologies and provide turn-key services for the retail, banking, dining, coffee, fast-casual and hospitality markets. We fabricate fixtures both domestically and internationally, allowing us to deliver the right solution to your project. For over 40 years, Bishop has been a preferred partner of the world's leading brands to deliver their flagship stores and global fixture rollouts. Reach us at 1800.841.1284 or email us to start the conversation.